"This frosting comes from my Mom. 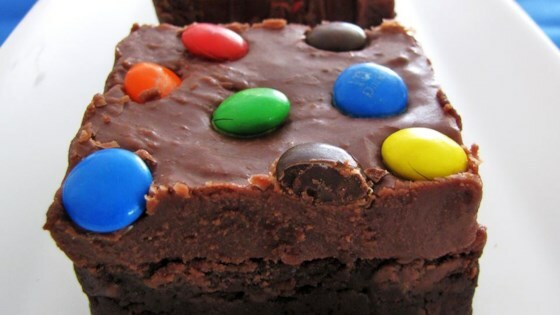 You can use it on made-from-scratch brownies, or give boxed brownies a special touch. Very rich and VERY good!" Combine the milk, butter, and sugar together in a saucepan and bring to a boil; allow to cook at a rolling boil for 30 seconds and immediately remove from heat. Add the chocolate chips and vanilla to the milk mixture and stir until the chips are completely melted. Pour immediately over warm brownies. i like it. my name is addison. i am 6 years old. i made it with my nana.